Dettman, J. R., D. J. Jacobson, Taylor, J. W. 2003. 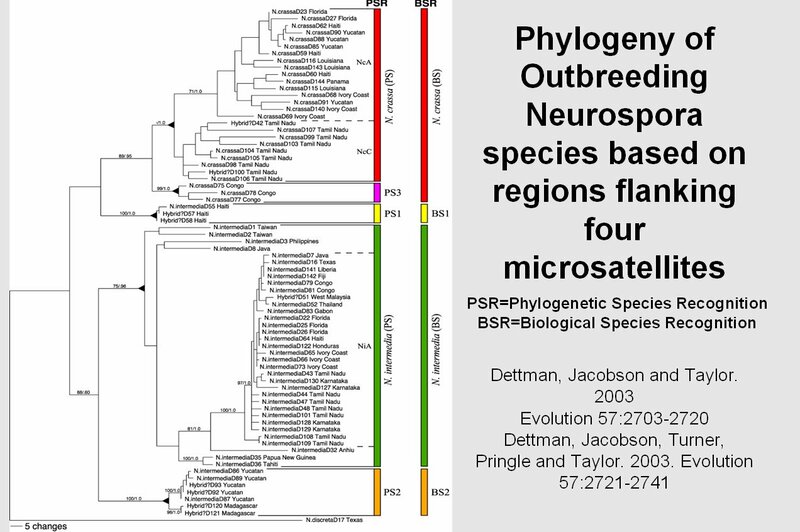 A multilocus genealogical approach to phylogenetic species recognition in the model eukaryote Neurospora. Evolution 57(12): 2703-2720. Dettman, J. R., F. M. Harbinski, and J. W. Taylor. 2001. 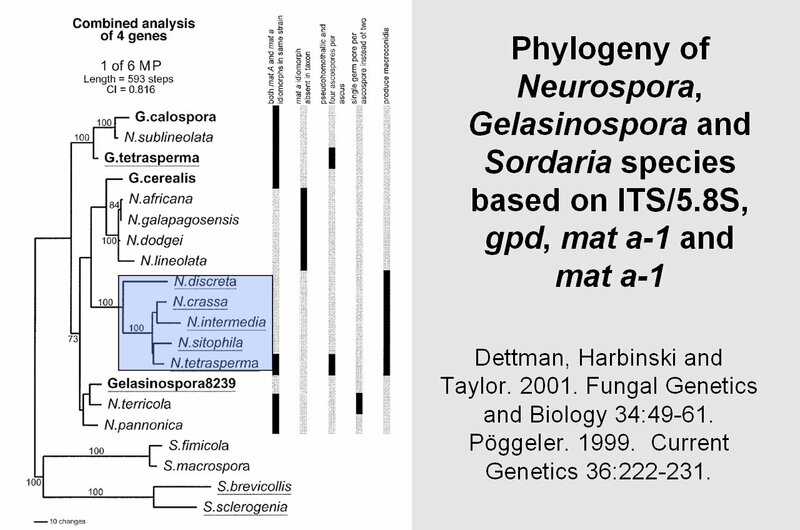 Ascospore morphology is a poor predictor of the phylogenetic relationships of Neurospora and Gelasinospora. Fungal Genet. Biol. 48: 10-11. Taylor, J. L. and I. E. Borgmann. 1996. A deluxe cosmid vector for transformation of filamentous fungi. Fungal Genet. Newslett. 43: 52-53. Berbee, M. L. and J. W. Taylor. 1995. From 18S ribosomal sequence data to evolution of morphology among the fungi. Can. J. Bot. S73: S677-S683.